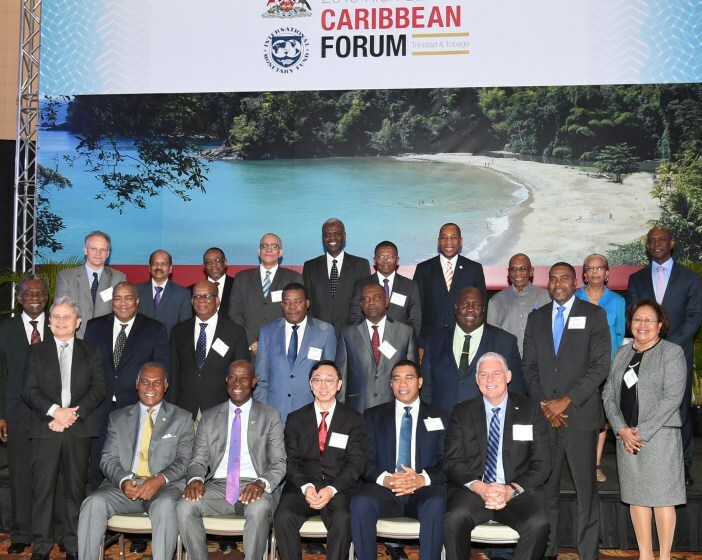 Delegates at the International Monetary Fund (IMF) 2016 High Level Caribbean Forum. There are both differences and similarities among us as a group. Three of the regional economies (Trinidad and Tobago, Guyana and Suriname) are commodity exporters while the others are largely dependent on tourism and remittances. However, we are all relatively undiversified economies and all highly vulnerable to developments in the US and UK. Above all we are all convinced that our economic prospects are enhanced by close collaboration and involving intensified dialogue and coordinated policies. A warm Trinidad and Tobago welcome to our regional colleagues, officials from the International Monetary Fund (our co-hosts of this Forum) officials from other international and regional financial institutions, other distinguished ladies and gentlemen. This is the second time that this distinguished gathering is being held in Trinidad and Tobago as we had the honour of being the co-host of the inaugural Forum in 2012. It is my understanding that prior to the launch of the Caribbean Forum in 2012, there was a sense that the unique macro-economic challenges facing our small middle-income Caribbean states did not attract the requisite attention from the IMF and indeed from the other international financial institutions. We apparently fell between the cracks; we were not poor enough to require special treatment and/or be eligible for concessionary financing and we not large enough to have a material impact on global economic developments. I note however, that since 2012, this regional forum has helped to heighten the focus of the Fund’s work on small states and brought greater attention to the unique challenges faced by the small states of the Caribbean. 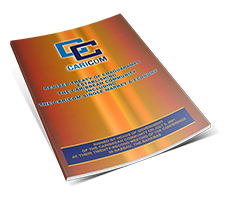 The increased attention being accorded Caribbean states, is reflected in the growing volume of research papers devoted to the Caribbean, by expanded technical assistance to Caribbean countries, both directly and through the Caribbean Technical Assistance Centre (CARTAC), and by more focused surveillance, with or without financial support. As small states go, the Caribbean is indeed a unique region. There is wide variation in the per capita incomes of the countries in the region – ranging from US$4,090 for Guyana to US$21,130 for the Bahamas. Largely because of this, analysts once divided the region between less-developed and more developed states. Thankfully this classification is no longer frequently used, presumably because of the realization that ‘we are all in the same boat’. Based on their geography, the non-commodity exporters are, in addition, subject to the worst manifestations of climate change, most notably hurricanes, which are usually of high intensity and surprising frequency. According to the experts, the Caribbean region is among the most disaster-prone in the world (adjusted for land area and for population). In a recent article, the IMF estimated the cost emanating from the frequent occurrence of these disasters to be as high as 1-1.5 per cent of GDP per year. Moreover, reconstruction costs following such disasters, usually add significant pressure on a country’s public finances. The Caribbean region experienced rapid economic growth during the 1970s and 1980s on the basis of which most of the Caribbean countries reached middle-income status and were ranked relatively high on the United Nations’ Human Development Index, vis-a-vis other developing countries. The performance of the non-commodity exporters was fuelled by a surge in agricultural exports (bananas and sugar) sold under preferential arrangements, along with the expansion of the tourism sector. The 1990s saw the elimination of the preferential market arrangements for sugar and bananas, as a result of which the region started to lose growth momentum. Regional Governments attempted to maintain income and employment through expansive fiscal policies. This however, started the accumulation of public debt. The stagnation in economic activity continued well into the last decade and was exacerbated by the international financial crisis of 2008, which seriously impacted both tourism receipts and remittances. According to data provided by the Caribbean Development Bank, between 2006 and 2015, Caribbean growth rates averaged 1.5 per cent per annum, compared with 3.4 per cent for other small island states. For one thing this disparity put to rest the thesis that our poor performance was mainly due to our small size. Currently, Caribbean economies are characterized by slow growth, weak fiscal and external positions and extremely high public debt burdens – among the highest in the world. In 2015, the average debt to GDP ratio for all countries in the region was about 77 per cent. Excluding the commodity exporters (Trinidad and Tobago, Suriname and Guyana) the average was close to 90 per cent of GDP. Three countries of this group had debt ratios in excess of 100 per cent of GDP. In 2015, debt servicing costs ranged from 16 to up to 40 per cent of Government revenues in some countries, sharply reducing available room for growth-inducing capital expenditures. I must note, Ladies and Gentlemen, that Trinidad and Tobago has also found itself facing subdued growth and increasing fiscal imbalances. Following rapid economic expansion in the period 2004-2009 (by about 8 per cent a year), real GDP growth has been anemic since 2011. The overriding reason has been the decline in oil and gas production in the face of the maturing of our oil fields. Most recently however, the dramatic slump in oil and gas prices has affected activity in the energy sector directly and has had major spillover effects on the Government expenditures and the non-energy sector activity. With the consequent expansion in fiscal imbalances, the Government now faces the twin task of fiscal consolidation and returning the economy to a faster growth path. Moreover, this time our growth strategy must involve an expansion in non-energy related activities, since, given the structural changes taking place in global energy markets, the outlook for our energy sector is to say the least, more worrisome. In its five-year fiscal consolidation plan, the Government has initiated a comprehensive reform of the non-energy tax regime, even while it is reviewing the energy tax system to provide greater incentives for oil and gas exploration, increased secondary recovery and the promotion of renewable energy sources. On the expenditure side, the Government is focusing on measures to reduce corruption and wasteful spending, cutting subsidies and transfers; and enhancing the efficiency of spending on social programmes, through better targeting. These measures will all make space for higher growth-enhancing capital expenditures. Our diversification strategy highlights the development of a number of sectors in which we believe we have comparative advantage. These include tourism, merchant marine, arts and leisure, manufacturing and some niche agricultural processing activities, involving cocoa and coconuts. I say all this to underscore that, we face some of the same challenges as many of our Caribbean colleagues. Perhaps we are a little better off in two important respects; first, we have a lower and more manageable debt burden and second, during the period of high oil and gas prices we were able to build up sizable buffers, including through our Heritage and Stabilization Fund. The high debt burden being carried by most Caribbean countries has been a main impediment to their principal objective of achieving higher and more sustainable economic growth. The current debt burden has meant high borrowing costs, discouraging private investment while the high debt service ratios have sharply reduced fiscal flexibility. Some of our countries have tried to ease their debt burdens through ad hoc restructuring arrangements but invariably these have not gone far enough. It should also be noted that because of its “middle-income status” the region (except for Guyana and Haiti) has not benefited from international debt relief. Moreover, few countries in the region qualify for concessional borrowing from the World Bank. Recently, four countries – Antigua and Barbuda, Jamaica, Grenada and St Kitts and Nevis – obtained significant debt service relief, in the context of IMF supported programmes, which also carried large Fund financing. While helpful, the relief provided did not go far enough as it did little to reduce the outstanding stock of debt. The debt levels in these countries are still at 90 per cent of GDP for Antigua and Barbuda, around 120 per cent for Jamaica, 85 per cent for Grenada and 65 per cent for St Kitts and Nevis. These persistently high debt ratios will continue to jeopardize growth performance. For many observers, the conclusion is obvious — the Caribbean will not be able to achieve faster economic growth and sustainable development, unless the problem of the debt overhang is addressed in a comprehensive way. Ladies and gentlemen, our region is now at a critical turning point. While it may be true that transformation first requires fiscal stabilization, with its many vulnerabilities, including its high debt burden, the region runs the risk of being constantly in pursuit of fiscal adjustment, while faster and sustainable economic growth remains elusive. Breaking out of this cycle requires a comprehensive policy to address this significant debt overhang. The IMF and other multilateral institutions are best placed to develop and to advocate for global acceptance of such a policy. advocacy of the IMF and the other multi-lateral institutions to convince the policy making bodies (like the OECD and the G20) of the urgency of our situation. Like the “de-risking issue” to be discussed later, which threatens to have far-reaching effects on public policy management in the region, a comprehensive debt relief programme and an innovative growth strategy seem to be the missing ingredients in the region’s quest for long term economic sustainability. The IMF must step up to the plate. Let me end by expressing my appreciation for the work that the “reformed” IMF has been doing in the region. I can vouch for the more open and informative policy dialogue that you have carried out with our officials, the increased willingness of the institution to consider home-grown solutions and the prompt response to our requests for technical assistance. At the local level here in Trinidad and Tobago, we have sought and have received valuable assistance from the Fund in developing a new gas taxation policy. This exercise is a very important part of our repositioning initiatives to strengthen our revenue stream. We are grateful to the Fund for this assistance. I trust that my overview has piqued your interest and has stimulated your desire to engage our Caribbean circumstances. With that as our goal, I say welcome to the newcomers and offer open house to all of you visitors to thoroughly enjoy your stay in Trinidad and Tobago.